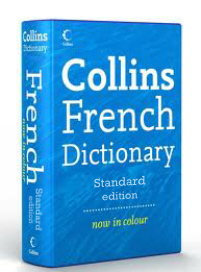 There are two versions of French. There is standard French which I do not speak well enough to hold a conversation in any depth. Then, having explained that fact to French people, there is the other version which they speak to people like me who have explained that they do not understand French very well. It uses the same words, syntax, pronunciation and stresses, may be spoken in dialect, is usually delivered at speed and is just as incomprehensible as ordinary French. But it is clear that although I do not speak or understand ordinary French very well, they are quite clear that I must be able to understand this version because it is so bloody obvious. We have a similar version of English. It's much the same with the added feature of being spoken LOUDER.